If you're looking for a smooth, luxurious ride, the 2018 Hyundai Kona is the best in the segment. This five-passenger subcompact crossover accommodates everyone with generous head- and legroom. Its smooth performance and supportive cushioning deliver long-term comfort, making it an excellent choice for your next road trip. 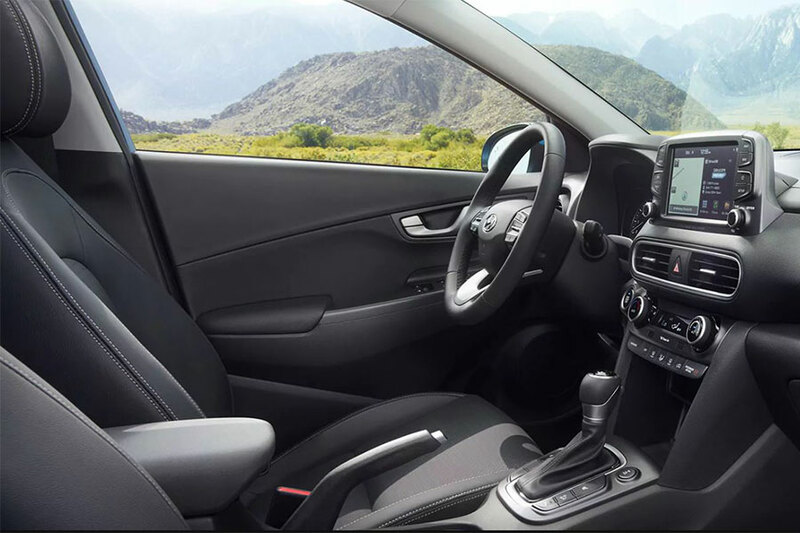 In the Kia Niro, you'll enjoy a commanding driving position, with an excellent view of the road ahead. It's also easy to get comfortable, thanks to the substantial head- and legroom in both rows. You'll find a lot of hard plastic on the dash and center console, leaving the Kona to be the more stylish of the pair. Best Technology Features: It's a Tie! Here, these subcompact crossovers have a lot in common. Both include Apple CarPlay and Android Auto smartphone integration in their list of standard features. That means you can interact with apps like Maps or Messages directly from your central touchscreen, and there's no need to look away from traffic or down at your phone. We also like both models' touchscreen interface, which respond to your touch without any hassle. 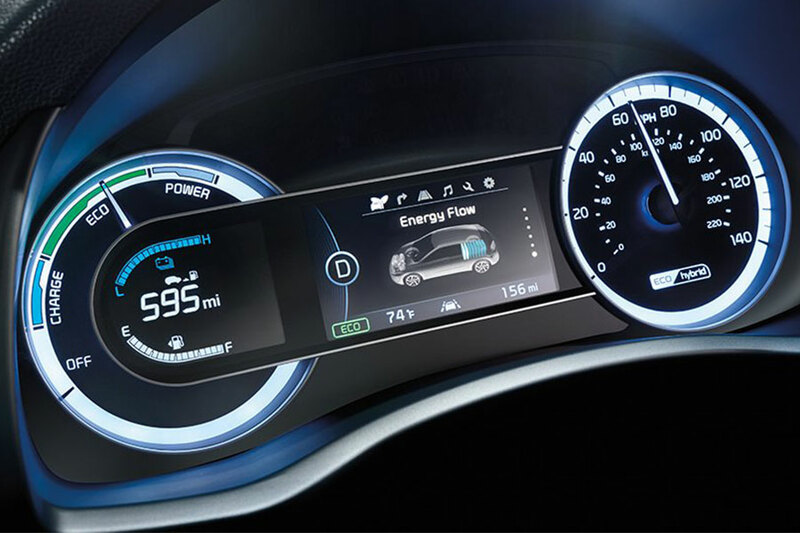 Add the Hyundai Smart Sense package for the complete set of advanced safety features. These include forward collision warning and mitigation, which actively hits the brakes when it senses an oncoming crash. All 2018 Hyundai Kona models come standard with a rearview camera to help you spot any pedestrians or unmanned shopping carts as you back out of a tight spot. All but the base SE come with blind-spot monitoring to help you switch lanes on a busy highway. The Niro also comes standard with a rearview camera. However, to get blind-spot monitoring you have to upgrade to the EX, and you might end up spending more than you'd like. The Niro's Advanced Technology package adds automatic emergency braking and lane keeping assist features. The hybrid-powered Kia Niro was specially designed to outrun competitors, at least in terms of fuel mileage. Depending on trim model, the Niro earns up to 52 city/49 highway mpg. Although the Niro saves you the most in gas, the Kona is a bit sportier, with optional all-wheel drive for increased traction on wet or twisty roads. You won't find this technology on the Niro. Considering its sporty ride, the Kona isn't bad on fuel, earning up to 28/32, depending on which powertrain you select. Although both models offer impressive standard tech lineups, we think the 2018 Hyundai Kona has the overall edge. Few competitors offer as much luxury, especially in the Kona's price range. As you cruise around in comfort, you'll also have plenty of peace of mind, courtesy of the advanced safety aids. On the road, the Kona inspires confidence with its sporty, reliable performance.